Most of us use Facebook to connect to our friends and love ones. One of the best feature offered in this platform is the free data access to their partnered carriers around the world. 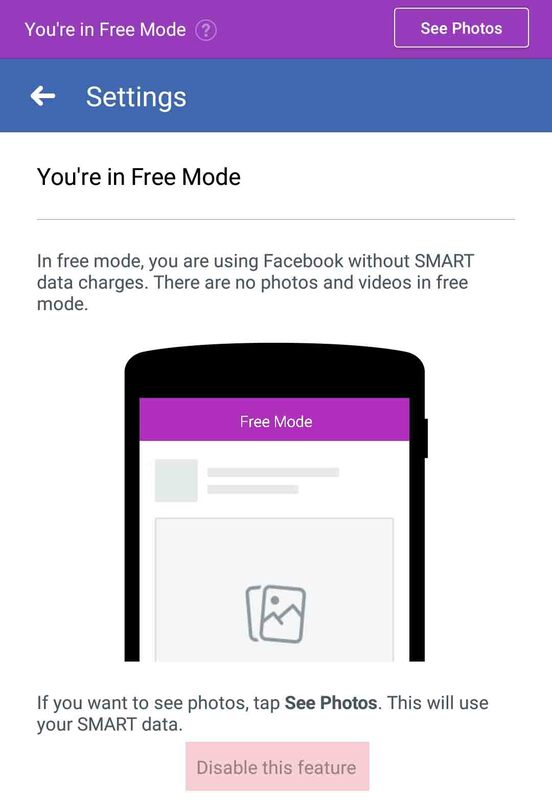 You have to select options like “You’re in Free Mode” and “You’re in Data Mode” when you open the Facebook app or via mobile browser. If you want to use free Facebook, all you have to do is activate or turn on the “Go to Free” button located on the upper portion of the page. Once you use this feature, you can see photos and videos only text updates shown on your new feeds. What if you subscribed to a data promo or connected to a Wi-Fi hotspot, you need to turn off or disable this feature on your account to be able to see all the content feeds. Sometimes even if you are using data this banner will still appear on top of your screen which most of us hate to see and want to hide that banner. 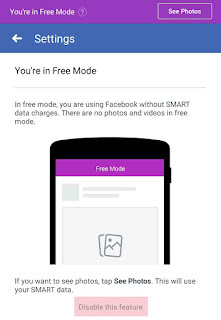 To view photos and stop connecting on free Facebook, you need to follow the steps on how to turn it off. Open your Facebook app or go to facebook.com using your mobile browser then login your account. 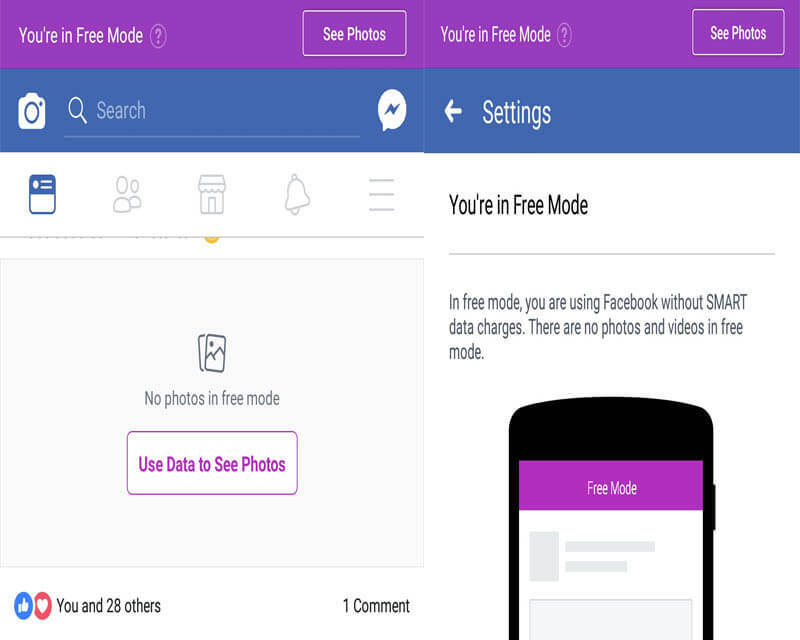 On upper right, tap “See Photos” to turn off free mode. Just tap the “Go to Free” button to turn on. Tap the question mark icon (?) to go to Settings. Click the “Disable this feature” at the bottom part. You can play around with this feature by going to the Facebook home feeds, tap the hamburger menu, scroll down and look for “Facebook Free Mode”. For mobile browser users, to turn off and on Facebook Flex, just go to https://m.facebook.com/zero/toggle/settings then tap the option you want. The steps above may work on all networks (e.g. Smart, Globe, Sun, TM, TNT etc.) and mobile carriers who offer free Facebook access to their subscribers.